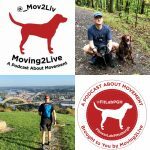 This week a thank you to all our guests in the first 100 episodes, along with a reminder we have another podcast- Moving2Live – and encouragement to take time to have a RIMBY adventure- right in my back yard!! 1) Thank You for 100 FitLabPGH Episodes!! !